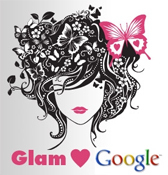 Glam Media, a lifestyle property on the web with 12 million unique visitors per month, announced a multi-year deal under which Google will serve as their exclusive provider of web search and contextual ads through their AdSense program. Google’s world class search and advertising programs are designed to provide the most relevant search results and contextual ads to users. “Our strategy is to provide our audiences and advertisers with the most integrated and contextual entertainment experience possible, and our collaboration with Google provides additional and different contextual ad opportunities for advertisers,” said Samir Arora, chairman and CEO of Glam Media.